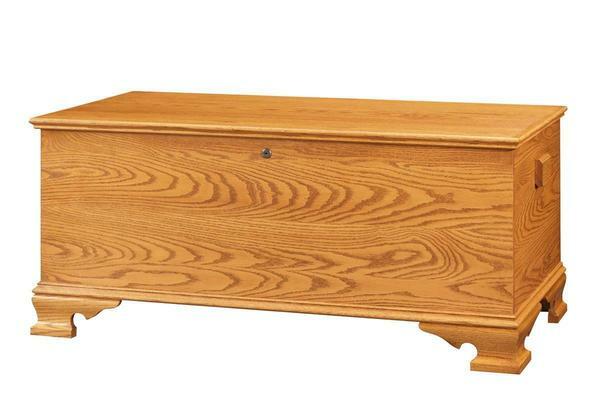 The large size hope chests come with a beautiful ogee bracket foot and moulding, cedar bottom and lock. Full cedar lining is also available on this Amish chest. Amish handcrafted hope chests make a great wedding gift, gradution gift, birthday gift or holiday gift! Please call with questions or ordering assistance. We are happy to help in anyway that we can.